Using the product, applications are jittery. Initial setup is easy and pretty standard. This is for remote access to an internal network of the organization to do all types of work. The requirement for VPN is secure with high performance. * Performance: Two applications are being used: remote desktop (RDP or rdesktop) and VNC viewer. Comparisons are done on the same client machines (Windows 10 and Linux 16.04) over the same network. When using Cisco VPN, applications are working smoothly while occasionally jittery. When using F5 VPN, applications are quite jittery. Sometimes applications are useless (too slow to refresh the screen). * Client support: Cisco VPN has more Clients supported than BIG-IP, e.g., BSD. Still not clear why our IT decided to switch to F5 BIG-IP after two years experience. It appears as if there may be some advantage (possibly) related to security concerns (more secure?). Performance is the first thing and most critical issue that needs improvement. Supporting more Clients would be nice, but without improving performance, F5 will not widely be used for critical work. It killed an international meeting the first time that we used BIG-IP VPN. Performance: Using the product, applications are jittery. We used Cisco VPN. I am not sure why our IT forced us to switch to F5 without our feedback. Initial setup is easy and pretty standard. Setup is not much different from all other VPNs. Unless the price difference is large, this is not the primary concern for the product. The performance and product-related issues (secure for VPN, multi-function for network device, etc.) are the keys. We are using it primarily for load balancing. We also make great use of SSL interception (offloading and onloading), packet inspection, rewriting, and DNS wide IP. It is a very good, flexible solution. It helps us to catch up on flaws in our partner solutions on top of its load balancing feature. Along with load balancing, we perform a lot of packet inspections, URL rewriting, and SSL interceptions via iRule. I would recommend that the cost be lowered. User tracking: Needs to provide a visual interface to follow a customer's activity (from client to BIG-IP to SNAT IP to the chosen server, then back). Today, we are still performing packet captures. So far, we have not had to contact them. We previously used Cisco ACE, which has very limited features. The initial setup is straightforward. The GUI interface is user-friendly. Software upgrades have been performed by F5 teams. The initial migration was done by our technical team. The last implementation was done by the F5 team. I would rate them as a nine out of 10. I am not giving a 10 because we encountered some difficulties with the software upgrade from version 11 to version 12. If you are planning to use security features, better to go for strong hardware and the best bundle license, which is great for web security. We use it for local traffic management and for the application firewall. We are trying to deploy virtual appliances in AWS. It has improved our program performance and security. * The web application firewall. * The configuration and integration into the AWS environment was pretty easy. We would like to see load balancing between the cloud and the on-premise, a straightforward deployment feature. The stability is almost there. Sometimes it hangs or there are unpredictable performance issues. Technical support could be better. We looked at A10. When deciding whether to go with F5 or A10 it depends on the business requirements. Sometimes I propose one and sometimes I propose the other. It depends on the customer's requirements and budget. 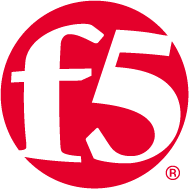 For our internal use we went with F5 because it's the best tool. The on-prem version and the AWS versions are almost the same. In terms of the experience purchasing through AWS marketplace, because we are a partner, the way we purchase it from AWS is different. We don't buy directly from the market. We use it for brokering services. It has made it a single entry point for all users, verging across all the VPCs. It is more of an SSO solution versus multitier user loggin. * Central point of entry for our user base. * Integration with our website. We would like to have integration into encryption and PKI integration with SafeNet. That is probably the key component in using External PKIs, letting people bring their PKIs with them. On the back-end, we have a SafeNet component. They are going to bring additional features in, so allowing integration with encryption and PKI, and tying it back into Microsoft AD in the back with an LDAP lookup for users. It seems very scalable now. We have 200 users, going to about 10,000 within the next year. There are multiple VPCs and multiple AWS accounts. The integration and configuration of the product in our AWS environment seems to be pretty straightforward. There doesn't seem to be anything complex. We haven't needed anything additional, like Professional Services. We did use technical support on the original engineering. We have seen ROI because we are not hosting it. We moved this to the cloud for our ingest, so our workload is moving to the cloud and Amazon. Purchasing through the AWS Marketplace was good. We chose to go through the AWS Marketplace because everything that we needed was a soft appliance. We needed something to work in Amazon, and this product was available there. We have found the pricing and licensing on AWS to be competitive. We looked at F5, Citrix, and VMware. We chose F5 because it has a better market name, seemed to be vendor-agnostic for providing capabilities that others didn't, and its reputation. Use F5. It has a good reputation. We experienced easy implementation and had an overall good experience. We are using it for load balancing and security. When someone requests data through the load balancer, we pull the certificate name out to identify who that person is. This is one of the things that F5 does. We haven't able to replicate this so far with the Amazon products. That is why we are going to F5. It has the ability to do the security work that we need along with the current thing which is supporting the load balancer. Therefore, it can determine if the system is going down, then route the traffic somewhere else. It does what we need. We had a problem where customers were doing transactions in our system, pulling health records, and the system had to be shut down for maintenance. Unfortunately, we wouldn't know that the system was being shut down, and we would lose that information. Then, the customer would get upset. Using the F5, we were able to build rules to detect that the shutdown was occurring, then begin to route people elsewhere, so we didn't have any outages or downtime. This made customers a lot happier, and it made us a lot happier. They could improve the product's ease of use. There has been a bit of complication on some things from the admin side. There is some confusion how to operate it. I don't think too much stress placed on it. In F5 Studio, the stability been very good. We run 14 servers. We get up to about half a million transactions an hour, and the scalability has been good. It has not been a problem. I would rate the technical support as a five out of ten. Our admin had to learn everything and do it himself. He seems to have had difficultly at times with the tech support. However, this may be a manifestation of the fact the government bought it, but didn't buy the support. The integration and configuration of this product were pretty good. Once you get going, it gets easier to use. It works with Red Hat JBoss application server, and it integrates reasonably well. It is sort of a commodity product. A load balancer is a load balancer. What will be, at the end of the day, the cheapest option or have the best performance, that is what it will come down to. Can it do the necessary performance that we need, and if so, is there a cheaper alternative? If not, then we'll stick with what we have. We also evaluated some free stuff on the AWS Marketplace, or some cheaper stuff. We also looked at the Amazon offerings, like the Elastic Load Balancing. The customer wanted to take what they had on-premise and put it in Amazon: full stop. Because we could obtain the certifications for security and the existing Amazon products didn't do 100 percent of what F5 did, they didn't want us to change any code. They just wanted us to keep going the way we were. This is the reason why we pulled F5 over. Try doing a proof of concept or a prototype, before you go full in on a load balancer, to make sure it does everything you need. We use it for load balancing and routing. It supports APIs and virtual additions for cloud and VMware. It integrates with various firewall and networking devices along with application services, and it works fine. * Cloud native integration should be provided. * Native support for containers should be added to future releases, as this is the future of load balancing. The stability is great. We put our production load on it, which is very stressful. Scalability has been great. We have thousands of severs. F5 has scaled very well. They provide average enterprise technical support. I also evaluated Cisco, but chose F5 because it had better features in terms of load balancing. I liked the various features in F5, including input/output routing, load balancing, and global load balancing. Explore the API support and integration with the open source products. Those are the key thing to analyze. F5 are the experts in their area. We use it for a number of solutions that we build, mostly for identity and access management control. It is the centerpiece of a lot of the solutions that we build, and it has integrated with everything that we have needed it to. It is the best value for our engineers and architects who know how to use it. It meets the government's requirements every time that we've used it. It is easy for us to keep integrating with our solutions. We have found the consistency of the application always being the way it is supposed to be as its most valuable feature. We put a lot of stress on the application. It is very stable. The scalability is awesome. Our environment is thousands upon thousands of instances in AWS. Purchasing through the AWS Marketplace was very simple. The main reason that we went this way was the simplicity of buying it there. It is maintained and upgraded for us, and this makes it easy to stay current. When we migrate workloads into the cloud, we need the same functionality in the cloud, and low balancing is part of that. Being able to manage the platform on cloud, the same as on-premise, is the use case. Load balancing generally brings high availability and a bigger ability to scale out. In some cases, it brings security, depending on how it is configured. * Reputation in the market. I would like them to expand load balancing, being able to go across multiple regions to on-premise and into the cloud. This could use improvement, as it is sometimes a little cumbersome. It is very stable. It's a pretty solid product. Our clients use it pretty heavily. Most all of them are production workloads and some of them are external facing workloads, so you can see seasonal peaks. It's very scalable. Probably the largest implementation I did was with hundreds of servers behind it. We haven't had any issues with the integration and configuration of AWS. It works just like it would on-premise. I have some questions around its scale in the cloud. We haven't done as much work in the cloud as we've done with on-premise. However, so far we haven't had any problems with it either. My clients have seen ROI. It could be priced a little less, especially on the virtual side. It gets a bit expensive, but you get what you pay. There is always the Cisco on-premise solution in play. There are also the AWS native functionalities. The ease of management is the tie-breaker for F5, being able to manage the on-premise and cloud with the same tools. It's fairly easy to integrate. If you compare it to Cisco products, Cisco is very regimented and works best with themselves. F5 has been forced to play nice with others, which is a bonus. * Look at the flexibility of the products. * The ability to work with it on-premise and in the cloud is a huge advantage. * The ability to integrate it with other non-F5 products. We use both the AWS and on-premise versions. They work about the same, which is what I like about the product: same management plane and configuration. The integration and configuration into the AWS environment was pretty good. However, we are ending up with a whole bunch of ghosted IPs. We use it for low balancing. It has been in our environment for four to five years, but I have only been using it for a little over a year. * The detail that you have available when setting up iRules. * How the traffic routing works in F5. The management process seems a bit difficult. The management interface is unclear, complex, and not concise. I would like a better user interface. For integration with other AWS environments, we do some tie-ins with some autoscaling groups. This has been challenging for us. We have had issues, where when autoscaling groups scale up, there are some instances which are not showing up in the proper size. Then, those IPs would get registered with F5, but never get released. Therefore, we are ending up with a whole bunch of ghosted IPs. However, this is more an implementation detail than an F5 detail. It is very stable. I have no concerns regarding stability for F5. We are seasonal, so we go from low to high volumes. F5 has never been a concern of ours for stability. We run an Active-Active version of two instances, so scalability between the on-premise and AWS versions hasn't been a huge issue for us. Where we are finding the AWS version helpful is when we are trying to scale up new environments. AWS Marketplace helps here a lot. We have support agreements in place, but they are managed by the infrastructure team. I do not contact the technical support, they do. The integration and configuration into the AWS environment was pretty good. The product was already in place when I came onboard. My preference is to use AWS natively, but there are some issues around session management and so on, which have prevented us from using it. While a lot of these issues have been solved, a lot of our applications are tied to the F5 infrastructure. Always use the Automatic Synching between F5. Don't try to use the API to do the synching. This is where we went wrong. We were trying to push the nodes to F5 individually instead of letting F5 handle the synchronization process, and it doesn't work.